Steven and Sarah Suggitt established Suggitt Farm Services back in 2003 to meet the needs of the local farming community in and around their farm in Norfolk. Since then the business expanded extremely quickly and is still one of the fastest growing farm contracting businesses in the country. 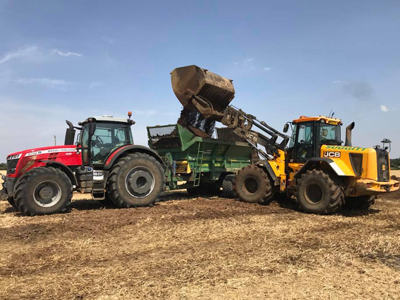 The company specialises in forage harvesting (maize and grass), supply of feedstock for AD plants, muck handling and spreading, slurry handling and spreading, baling and many more comprehensive services.